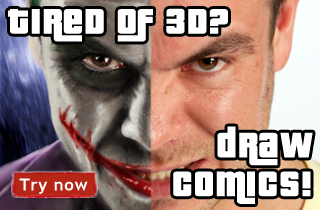 This site (free3Dtutorials.com) have been founded by guys around the 3d.sk websites. We aim to create the most valuable sites for CG and 3D artists from all around the world. We want to help you grow, to improve your skills and knowledge. We like to help people new to CG by providing them with top-notch free tutorials and even more! We hope you like the idea and enjoy our site. For more information about how to submit your tutorial, please visit Submit tutorial page. Your tutorials will be reviewed and published by us as soon as possible. P.S. : Here is a list of our other websites, you may like to check them out too!